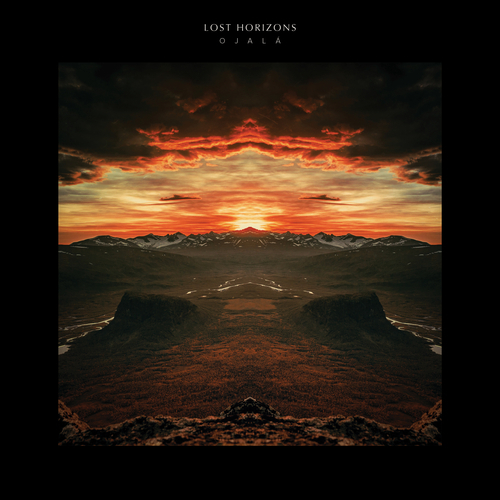 Lost Horizons is a rare sighting of two gifted musicians who, for different reasons, have been largely absent from music-making for the last 20 years. Yet their debut record Ojalá is proof of a telepathic relationship through music, established when the pair first became collaborators and friends in the eighties. Ojalá also incorporates a heady cast of guest singers. Some are signed to Bella Union, such as Marissa Nadler, former Midlake frontman Tim Smith, Cameron Neal (Horse Thief), others are long-time favourites of Raymonde’s (Leila Moss of The Duke Spirit and Ghostpoet), or newer discoveries (Beth Cannon, Hilang Child, Gemma Dunleavy and Phil McDonnell). And then there is the incomparable Karen Peris of The Innocence Mission, one of Raymonde’s most beloved artists, in her first collaboration outside of The Innocence Mission and solo recordings. Together, the Lost Horizons ensemble has created an hour of exquisite, expansive and diverse spellcasting, from facets of soul (‘Bones’, featuring Cannon, and ‘Reckless’, featuring Ghostpoet) to dreamier invocations like ‘She Led Me Away’ (featuring Smith) and Ojalá’s lengthiest trip, ‘The Engine’ (featuring Hilang Child). There’s the odd louder, faster detour, like ‘Life Inside A Paradox’ (featuring Neal, with Sharon Van Etten on backing vocals), but the dominant mood is a deep, rich melancholia. Before he started Bella Union, Raymonde was the bassist of the seminal Cocteau Twins, where the vein of melancholia went very deep. Even before the band had signed to 4AD, the label were releasing records by the instrumental quartet Dif Juz, arguably the first word in post-rock, 15 years before it became a trend: Thomas was their anchor; the engine room of their wondrous free-flow. The two bands became friends, and toured together. Indeed, Ojalá was made for its core duo’s need to make music, and to create something beautiful, and meaningful, in these dark times. It’s why the record is named after the Spanish for “hopefully” (or “God willing”).